On a weekend afternoon, we headed to the north-east part of Pune for a flavor of history and culture. Maharashtra is home to tribes like the Gonds, the Varlis, and the Bhils. 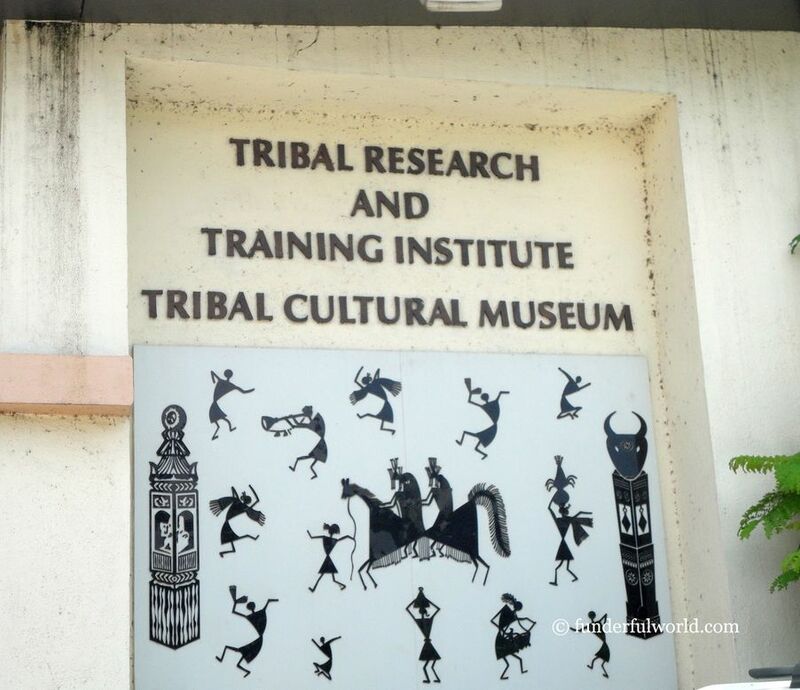 To get an insight into their culture and customs, we paid a visit to the Tribal Cultural Museum on Bund Garden Road in Pune. We were the first visitors that day and had (almost) the entire museum to ourselves. A series of rooms showcase the various aspects of life in tribal communities. 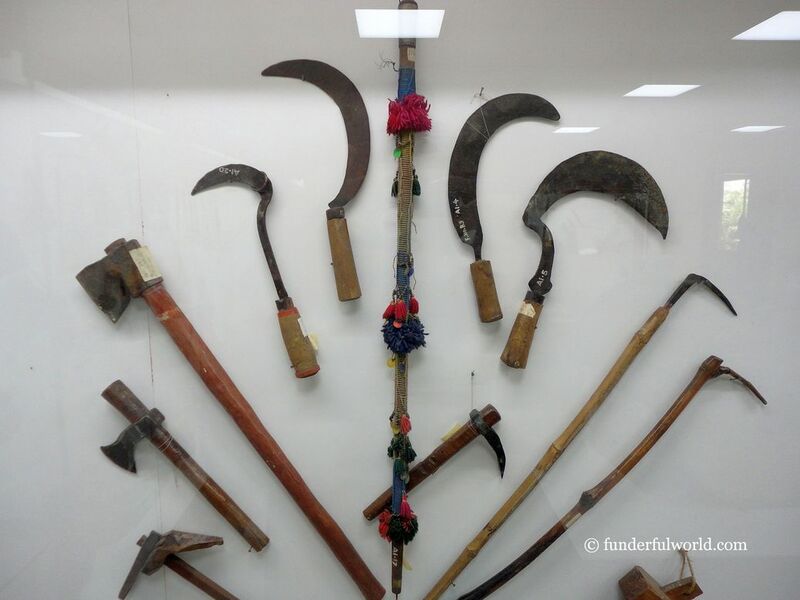 From weapons and agricultural implements to clothes and accessories, a range of articles is on display. B loved the art and craft items made from clay, bamboo, wood, and paper mache. Junior’s favorite section was the one with musical instruments. 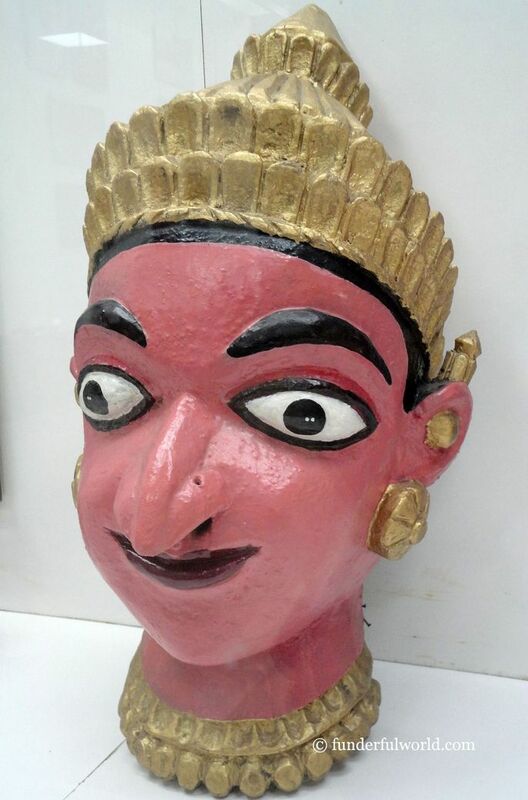 I was fascinated by the colorful masks of various deities. Oh yes, there are several samples of Warli art on display. We concluded our visit with a walk outside to view models of the dwellings. The world of craft. 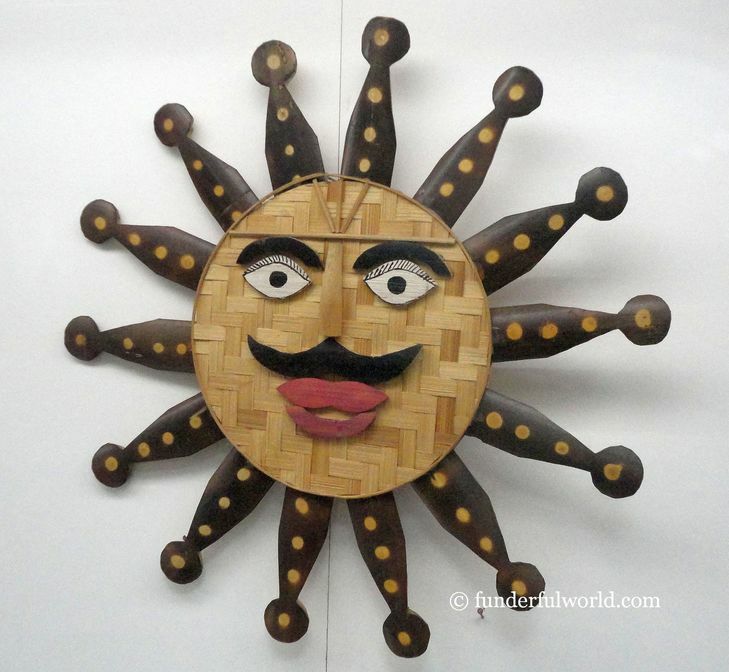 Tribal Cultural Museum, Pune, India. An assortment of tools. Tribal Cultural Museum, Pune, India. Exhibit at the Tribal Cultural Museum. Pune, India. If you are in the vicinity of Queens Garden and have an hour (or half an hour) to spare, head to the Tribal Cultural Museum. There’s always something new to discover and learn! 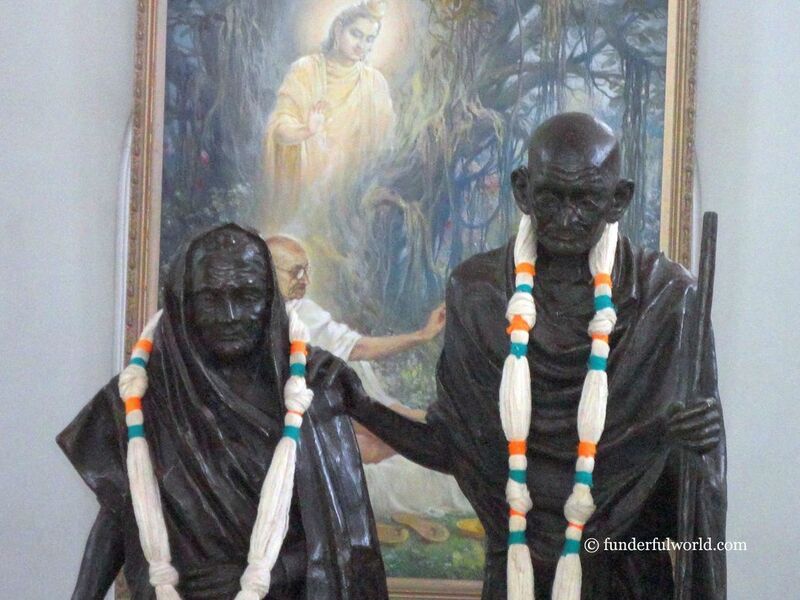 In August 1942, after the announcement of the Quit India Movement, Mahatma Gandhi, his wife Kasturba, and Mahadev Desai (Gandhiji’s personal secretary) were imprisoned at the Aga Khan Palace in Pune. The following two years were marked by a series of significant events. 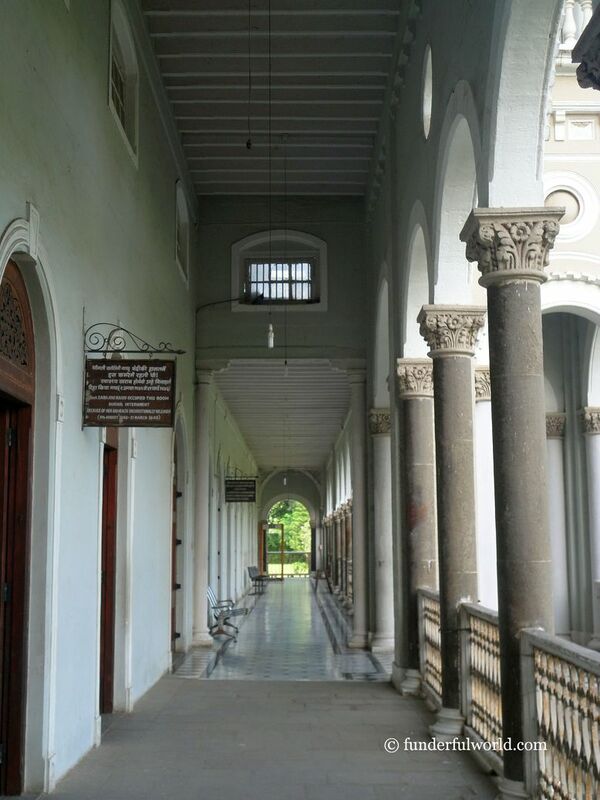 As India fought hard to gain independence, the Aga Khan Palace was witness to the sad demise of Mahadev Desai. Later, Ba (as Kasturba Gandhi was fondly referred to), too, passed away in captivity. Gandhiji was released from his internment in 1944. Aga Khan Palace. Pune, India. 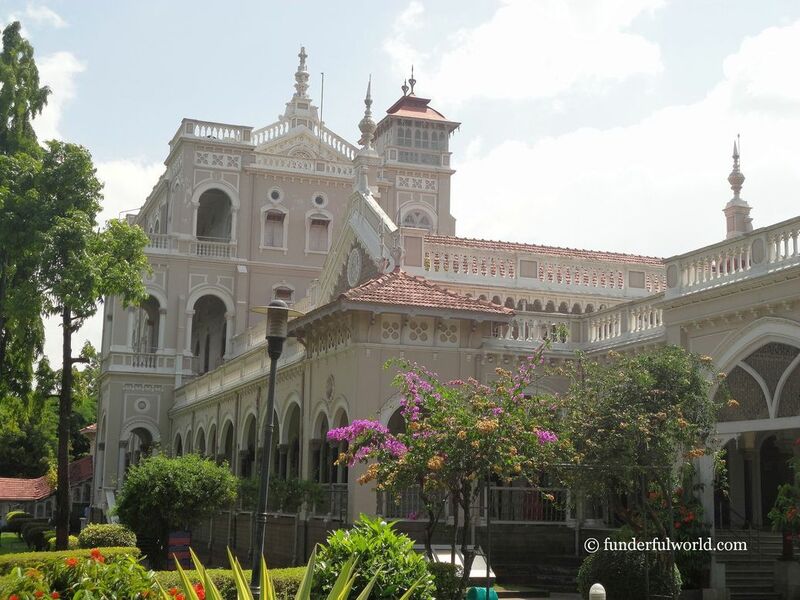 Located just off the busy Pune-Nagar road, the Aga Khan Palace is a quiet haven. 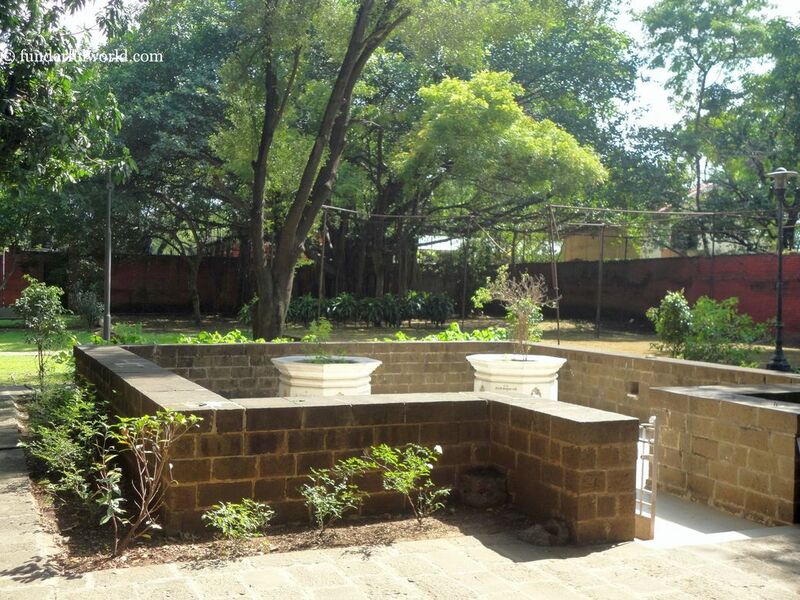 The sprawling garden and the majestic edifice beckon visitors to retrace events from history. The The structure was built by Aga Khan III in 1892 and was donated to the people of India by Aga Khan IV in 1969. Today, it stands as a memorial and witness to poignant moments in India’s struggle for independence. A few rooms in the building are open to visitors. 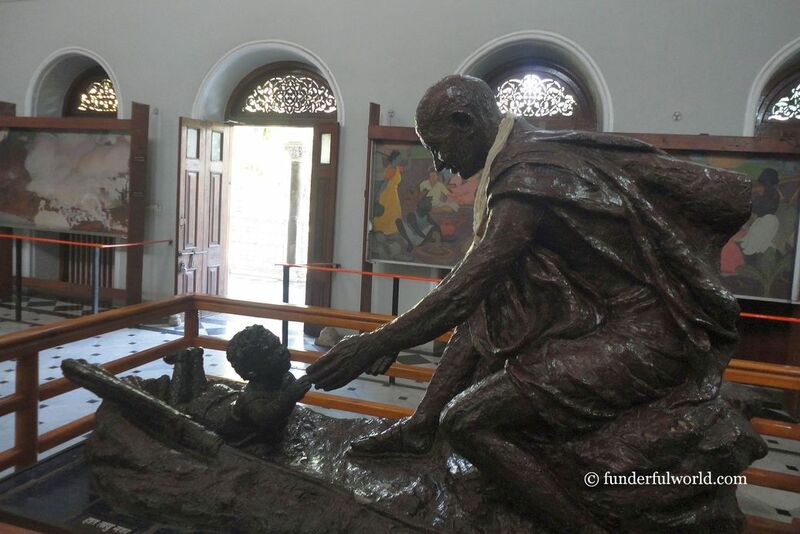 Statues of Ba and Bapu, beautiful sculptures, a few paintings, and several old photographs are on display. Some of Gandhiji’s possessions can also be seen here. 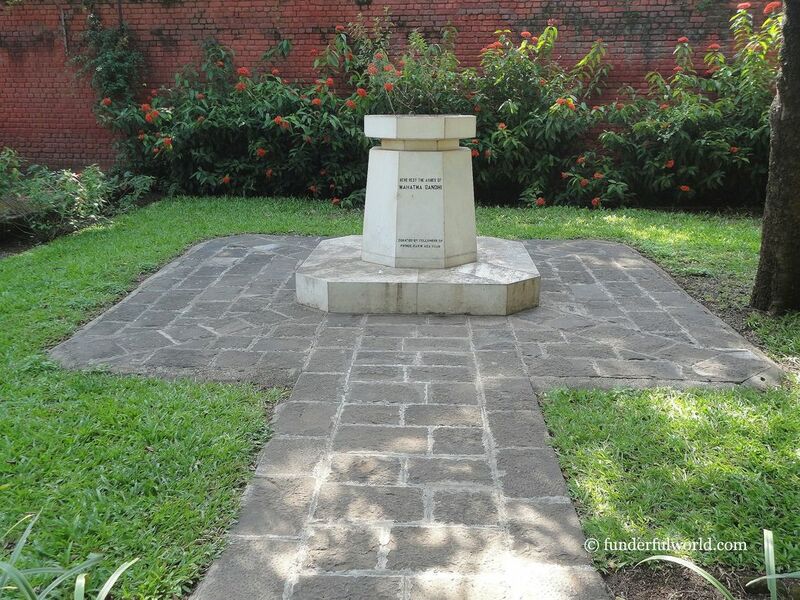 Outside the building, a path leads to the memorials of Gandhiji, Kasturba, and Mahadev Desai. We spent some quiet reflective moments here before heading to the exit through the vast lawns. Ba and Bapu. Aga Khan Palace, Pune, India. Let me take your hand. Aga Khan Palace, Pune, India. Memorials to Kasturba Gandhi and Mahadev Desai. Aga Khan Palace, Pune, India. Memorial to the Father of the Nation. Aga Khan Palace, Pune, India. Although I’ve visited the Aga Khan Palace several times during my school days, my recent visit offered a different perspective (I guess I’m growing old ;)).